When Clay is downsized out of his web design job, he gets a job as the night clerk at a 24-hour bookstore that has a weird backlist--books written entirely in code. The only main customers are ones who come in with a secret code, return one of the backlist titles and ask for another. Only those with the code can access the backlist and Clay has to write an extensive journal entry about it. In order to impress a cute girl from Google (and to stay entertained) Clay decides to do a 3D data map of the journals and he discovers that there’s a pattern to what books are being asked for, and the pattern makes a face. He and his tech friends then try to get computers to decode the books, which sets off an adventure and a discovery of a secret ancient society that they’re about to seriously disrupt. On one level it’s a good exploration of old v new, print v tech, in the book world, with no real answers. On the other, it’s a fun read with romance, adventure, and a side-kick. I like how Clay actively recruits a side-kick and a wizard from his friends as they go on their quest (he reserves the role of rogue for himself.) And a good dose of poking fun of the early Millenials/late Gen-Xers of San Fransisco. There’s a lot of food for thought, but in a way that’s not heavy. Oh, also, an Outstanding Book for the College Bound. And the cover glows in the dark. Ok, so somehow I skipped reviewing this one. Meanwhile, back in the present, Twilight attacks the Scottish fortress that Buffy and Co. have the hanging out in. It was a weird diversion of a comic because even though Twilight attacks, it still seems a little more “Monster of the Week” rather than over-reaching story arc. But, as I write this, I have read the rest of this season (heck, I even have the reviews written for the rest) and I can see its place a little more. Something I’ll start pointing out more is that overall, this season deals really well with the consequences of Buffy’s actions. And this gives Buffy a glimpse of the long-term consequences and she has to try to figure out how her future actions may mitigate going back to a “chosen one” Slayer lifestyle. That said, this is probably the weakest volume in Season 8. This Superfudge shirt from Out of Print Clothing to wear your reading pride, even when you aren't actually reading. 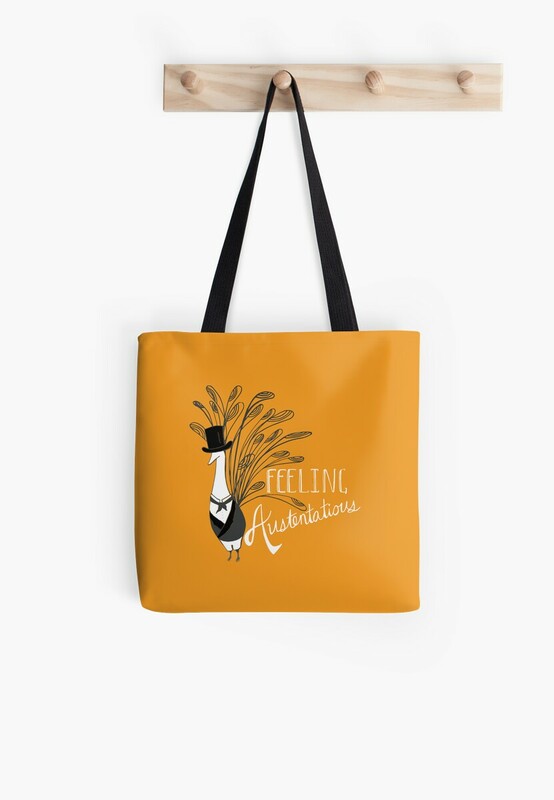 This "Feeling Austentatious" tote bag from the awesome people at Forever Young Adult so you can tote your books to your favorite summer reading spot. Moleskine Book Journal to help keep track of everything you read. Two Moons in August by Martha Brooks-- a perfect summer book that I reread every summer. Check out the Pinterest board for more Summer Reading Goodness! I am a complete and utter scatter brain, but I have a lot of responsibility and stuff to do in my professional and personal life. Organization is the only way I stay on top of things and am at all functional. 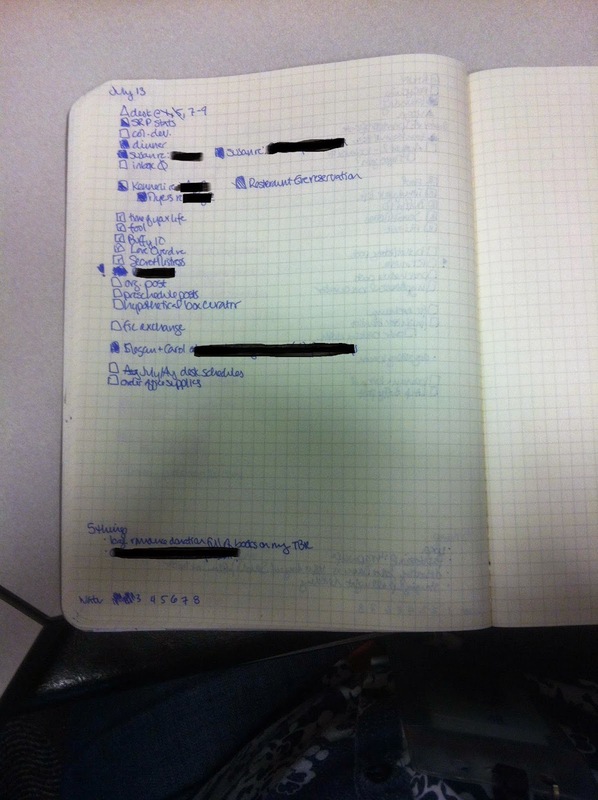 A few weeks ago, the #readadv chat was on how we stay organized. People were pretty interested in each other's systems and wanted more in-depth info than Twitter really allows. Kelly kicked off some posts here for people to share their systems. 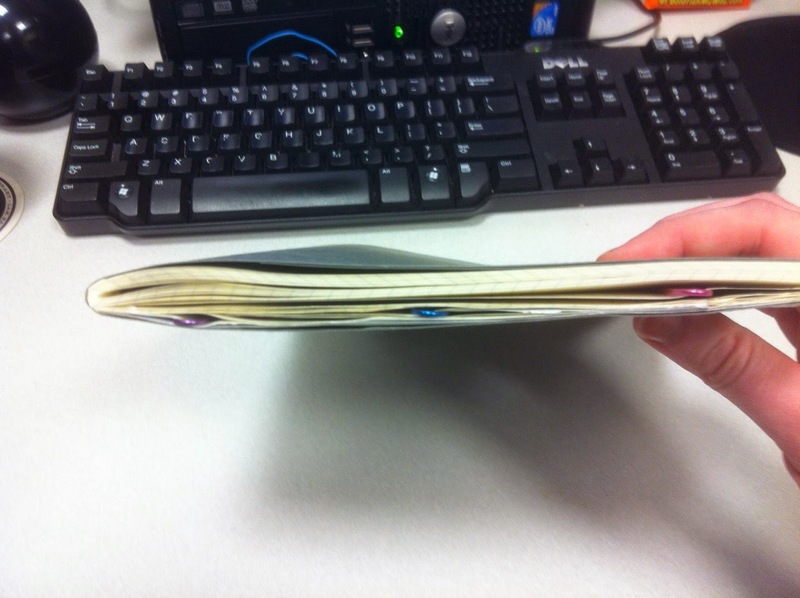 When I was working and in grad school, I swore by the BusyBodyBook planner, but they no longer make them. I loved the columns for different aspects of my life (work/school/blog/LIFE) and I tried a few other things since then, but nothing that I loved as much. I started doing Bullet Journaling this spring and LOVE IT. So, if you are unfamiliar with the concept of Bullet Journaling, read all about it here or watch this video. (I found it on Pinterest and it doesn't link to anywhere. Does anyone know who created this key? It's GENIUS and I'd love to give full credit.) The big thing I modify is, much like a c and e in the box for "call"/"email" I have a t for "text" and an r for "review" I especially love the half-filled box for things I worked on, but didn't finish. 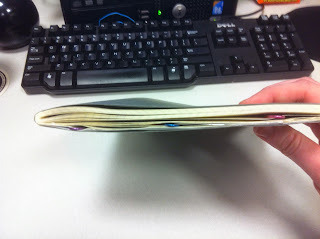 I do break projects into smaller steps, and do that in my journal, but it some steps just take a really long time. I also use the half-shaded box for things I need feedback on, like I needed to talk to someone, but they weren't in, so I just left them a voice mail. The half box lets me know that I may need to follow-up and try again later, but I don't need to worry about it for awhile. 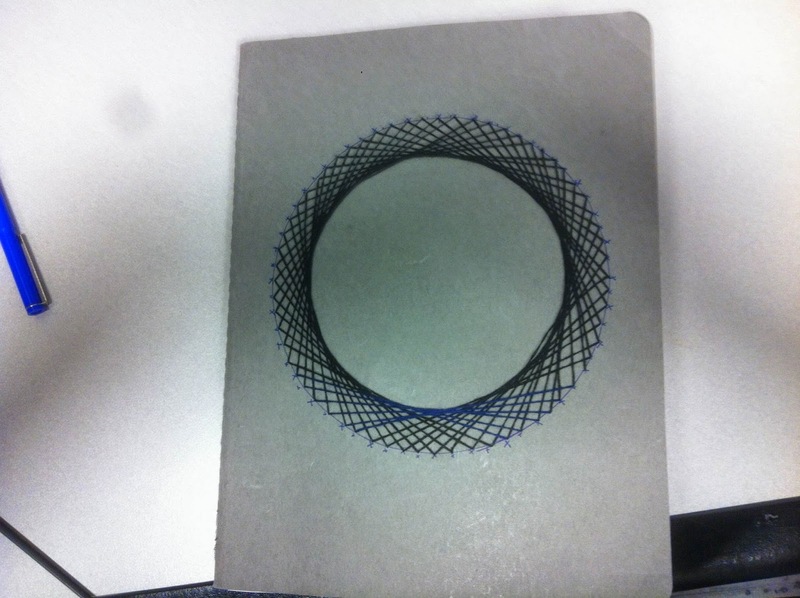 You'll see some other things I modify on my daily pages. I the bottom I have section called "5 things" where I try to write down 5 good things about the day, every day. This is really helpful in combating some of my own personal negativity. I also track my water intake. I also do Inbox 0 at work. It keeps me from missing important messages and quickly shows me what needs to be done. I don't do this at home. 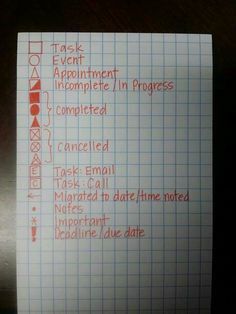 I also have an entire Pinterest board for this subject, full of ideas and things for planners and organizing (including awesome sticky notes and notebooks). Now, how do I track my reading and reviewing? Like I mentioned above, I modified the key so there's a symbol for call, email, text, and review. I try to review library books before they're due back and am pretty good about it. I try to review books I own shortly after reading, with less success. I tend not to schedule my reviews or review to a date unless I'm reviewing for someone else (RT Book Reviews and School Library Journal have deadlines, for instance) or a blog tour. Deadlines go on the calendar and get exclamation points on the daily list. It's pretty simple. Month, title, author. A check mark once it's been reviewed on the blog, or the review has been linked to on the blog. 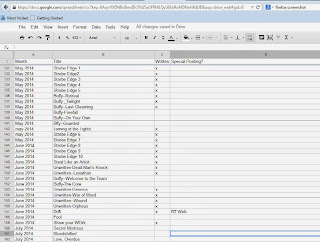 To do more in-depth review tracking, I use a Google spreadsheet that I update every few months. Month and year help me cross-reference with the paper book. You'll see I'm full of typos and shorthand for titles--as long as I know what book I'm referring to, I'm good. Then there's the column I can mark if a review has been written. I have a giant Google doc for reviews. I then edit/update/polish when I paste them into Blogger to preschedule/post. Then I have a notes field, where I can write when things are prescheduled for (if it's further out than the next week or two--I use this a lot with ARCs as I tend to post reviews on pub date or only a day or two before), if it's a review that's posting elsewhere, if it's a committee book so reviews need to be held, or modified, or just not done (depends on the committee regulations/policies), if I have notes on it but no review, etc etc etc. It's pretty basic, but it does what I need it to do. 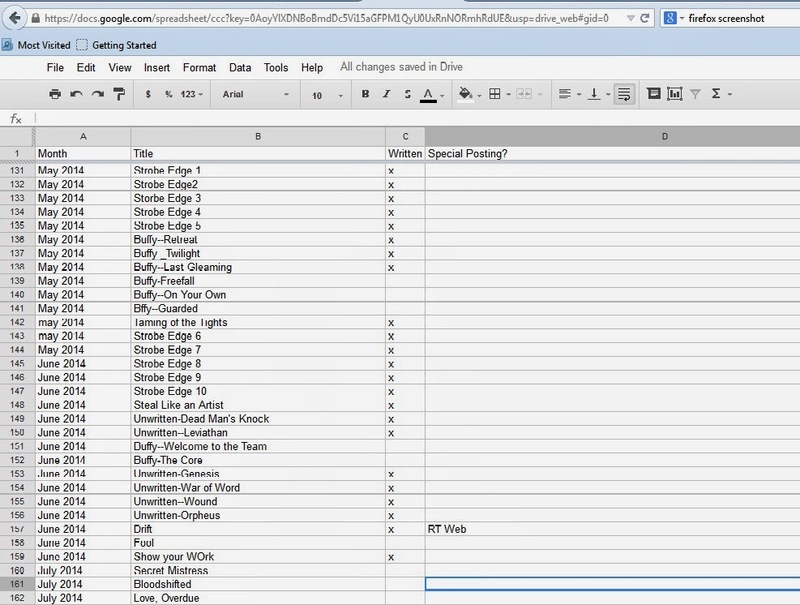 Once a review is posted, I delete that line, so the sheet ONLY tracks outstanding reviews. So, that's how I do it. I'd be happy to answer any questions! Tallulah is back at school, ready to put Cain and the kissing behind her. Even if Charlie has a girlfriend. She also has bigger issues--Dother Hall is still very financially unstable and while it’s not in danger of closing, it is very much in danger of falling down. And while Sidonie recognizes Tallulah’s talent, not everyone else does and the more she tries to prove herself, the more hilariously she fails in the eyes of her teachers (but never to us, dear reader.) And there is still the Cain thing. Tallulah may be willing to ignore the kissing, but Cain has no problem telling others about it. I love Tallulah and her craziness. I like that only some of her drama is self-invented. I love the insanity that is Dother Hall and the Dobbinses and the Tree Sisters and her fun size pal and the crazy dog Ruby. Overall, very hilariously funny. I don’t think it gets near as much love as Georgia, which is too bad.